This is a story about a developer, let’s call him Leon. Leon was young and full of energy and good will. He wanted to write quality code and to avoid regressions. He wanted to write tests, to refactor verbose methods and to remove unnecessary comments. Yet, there he was sitting in front of a complicated class, unable to write anything, while the cursor kept blinking. 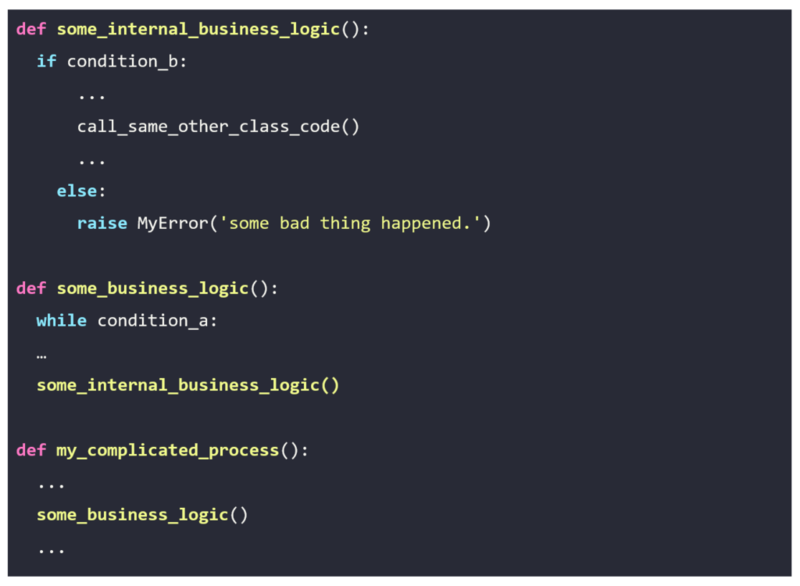 Now, as you may have guessed, most of the code was written a while before Leon joined the team. He had read a small part of the code, which he had worked on, but did not know much about the rest. On Monday, September 18th, Leon was desperately looking for a documentation or some tests to help him understand a bit more what HahaTryAgainLoser class was supposed to do, but he never found any. Suddenly, a small icon appears at the bottom of his screen that might end his struggle. It was an invitation to ‘Agile Testing Night’ held at Société Générale La Défense and the conference title was ‘Unit testing implementation on Legacy code’. He decides to give it a try. Tuesday, september 25th, Leon’s watch is displaying 7:08 pm he is sitting on a comfortable chair, the event started a few minutes ago with a presentation of which he only heard a few words, agile, scrum, testing and so. He is waiting for the main event. Then a keynote starts.The keynote is entitled ‘Mutation testing’, Leon has no idea what that is, he starts listening. Long running time, which makes it not adapted to run with every commit or code change. Complete analysis becomes difficult when a lot of mutants survive. Leon looks again at his watch, it is 7:55 pm, he is on his way to the other room where the conference is being held, he now knows about mutation testing but still has no clue about how to fix his legacy code issues. He is processing what he has just learned in his head, while waiting for the conference to begin. Patrick Giry starts the conference with the golden rule ‘never change code, unless you have an improvement request or a bug regarding it. He explains that while it is true we work in IT, it is also true that we must deliver added value to the business, otherwise it is lost time. When changing code that has nothing to do with our current requests, we run the risk of breaking things without delivering an expected change. If you are willing to do so, you can probably expect people yelling at you on the phone about some component acting weirdly in production that was not supposed to be impacted by the last release. In this example, the most shallow branches are the nested ‘if’ branches. A good starting point here is to specify the should_raise_MyError_when_not_condition_b() testing the raise error in the else branch. The same goes for the code inside the ‘if condition_b’ branch. However, we notice that some other class code is getting called. This makes the unit test harder since it involves outer logic. 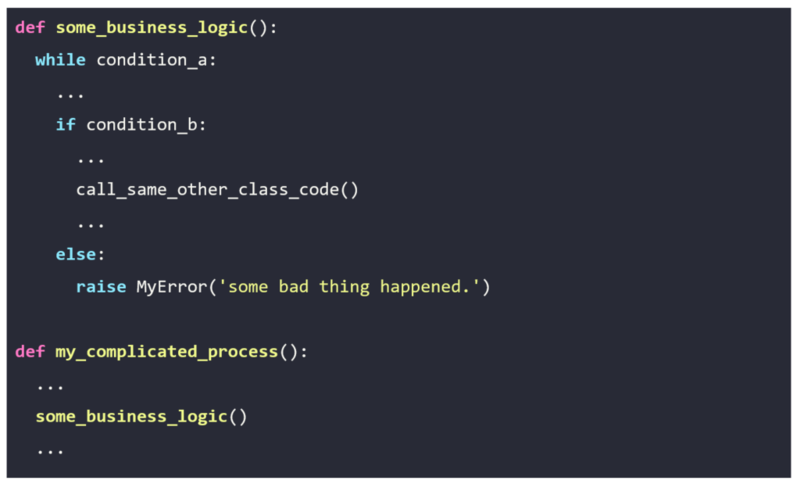 As a solution we could either mock or redefine that code to override its behavior in the unit test and make it return some value we are expecting. This helps isolate the tested class and avoids getting distracted by external issues. Keep going from there, isolating and writing tests for branches until the code is covered. Now we move on to the next deepest branch which is the ‘if’ branch inside the while and we extract it. From there we should keep on refactoring the same way going from one branch to a shallower one. NEVER change code unless you are working on an improvement or a bug. Mutation testing is slower than unit testing both in execution and analysis. What is an agile company? Agility has been the subject of numerous theories, publications and conferences for several years. The concept was historically created during a gathering of software development experts in 2001. They explain the ins and outs of what we know as « agile » through a founding document called the “agile manifesto“, which encompasses 4 values and 12 principles. At the time, it was mainly a solution proposed by developers to manufacture a software in the most efficient way while guaranteeing its adequacy with the needs of the customer. 17 years later, things have changed, and the agile manifesto provides only part of the answers to bring out a new product or service with what specialists call a good time-to-market and a good product market fit in the digital age. Margo starts an exclusive partnership with Stackoverflow. With a “enterprise” profile, Margo is able to advertise job offers, especially for C#, C++ and Java Developers.